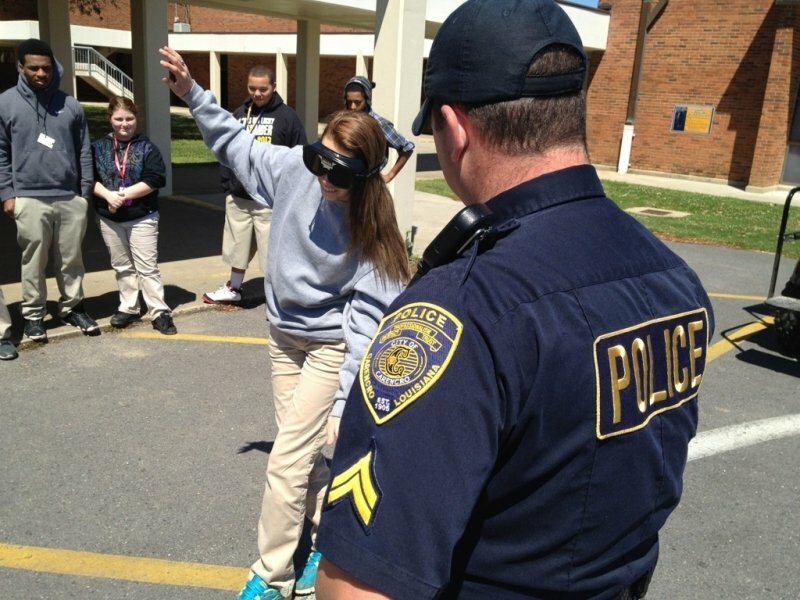 Friday, April 5, 2013 Today, Carencro High School students are participating in a drunk driving simulation. Carencro Police Sgt. Blake Soileau is teaching students the dangers of getting behind the wheel impaired. Pictured is Cpl. Gerald Robin who is also an Asst. Chief for the Carencro Vol. Fire Department.